The Alaskan camper also known as The Alcan Camper is a simple yet dramatic breakaway from the bulky profile of the average pickup camper. The original Alcan Camper which was later called the Alaskan camper was designed in 1953 for the purpose of conquering the Alcan Highway. Outdoorsmen searched for a camper that would give them protection from the rain and cold, travel rough terrain, be lightweight, and present the least wind resistance on the road, and so in answer to these needs this Alaskan camper was built. The Alaskan Camper (ALCAN Camper) provides luxury, and convenience with the advantage of mobility. 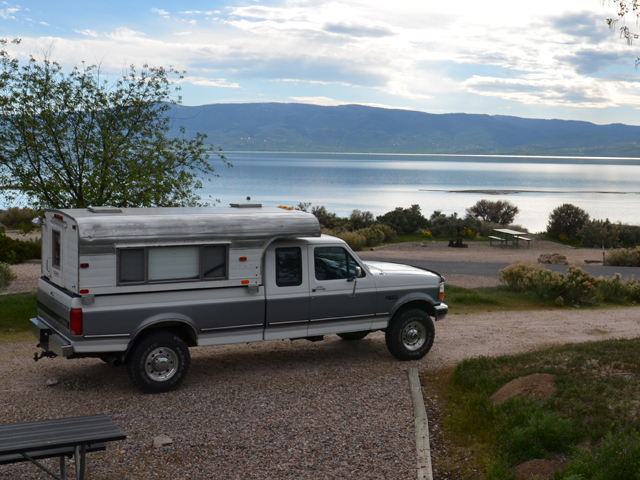 They are the most rugged, functionally designed campers available. One of the noticeable features of the Alaskan camper is its patented telescopic system which gives the camper the advantage of raising and lowering its top. This Top Up – Top Down design means that down, the camper is ready for traveling with less air drag from any direction. In the down position, you eliminate fourteen square feet of area in the front and twenty-six square feet of area on each side. That means better gas mileage and better control in high-wind situations. It also means that UP the camper gives 6′ 4″ head room and even this can be increased. A second advantage of lowering the top is a stable, safe ride because the center of gravity is lower, which greatly reduces rocking and swaying. The advantage of the low profile is when you are on one of those tight mountain trails or winding your way down to your favorite fishing spot, not only can you go under a lot of those low-hanging branches, but because the camper closely follows the profile of your truck, you won’t lean and tilt into trees, rock outcropping, or other obstacles. The Alaskan Camper (ALCAN) can go where others can’t. You can drive safely at any legal speed with the least drag and sway saving fuel with every mile. The Alaskan camper is transformed in just seconds from compact to roomy walk-in living quarters. There is comfort and convenience of an insulated, weather-tight, high ceiling (6, 4) camper with no canvas for side walls. The Alaskan Camper (ALCAN) has been tested and proven on the Alcan Highway and around the world. The Alaskan camper also features Alumashield construction which was exclusively developed for the ALCAN. The Alumashield is two layers of Aluminum with a polyethylene core that are bonded to a bonded aluminum frame, which results to lighter weight and greater strength, and no warping. The Alaskan Camper (ALCAN) has two inches of sprayed-in urethane foam insulation that gives it the finest insulation with R value. It also has teak interior with solid teak doors and drawer fronts. Another feature that sets it apart from the others is its hot water base board heating system that both quietly heats the camper and provides water without producing a heavy electrical drain on the camper’s battery. So whether you like the great desert, lakes, streams, mountains, ocean shores, open spaces and clear skies, or just simply traveling, these Alaskan campers will get you there in style without emptying your pockets. Imagine the snowy white trails of Alaska areas where polar bears, igloos, bright lights, and Eskimos travel the land. Alaska is one of the most beautiful and captivating lands in America where many people enjoy ice fishing, ice skating, hunting, and resting at night under hot, smoking fire places. Right now is the time to go online, since you cam save on tour packages. The packages may include tours of Alaska’s coast. The coast has a wide array of heavenly scenery, which includes ice inlets, glaciers, mountains, national parks, forests, and so on. You can also book tours where you will travel Alaska’s Beautiful Canadian Rocky areas. If you enjoy scenery lands then prepare to glide and slide across Alaska’s soil. You want to perk up, since in Alaska tours you will enjoy frontiers, itineraries, snowcapped mountain peaks, glaciers, wildlife, and steep fiord. Along the journey you may stumble upon the shores of the ocean, where black/brown bears, whales, bald eagles, seals, sea otters, and more roam the waters and lands. Choosing tour packages enable you to participate in a wide array of fun and exciting adventures. 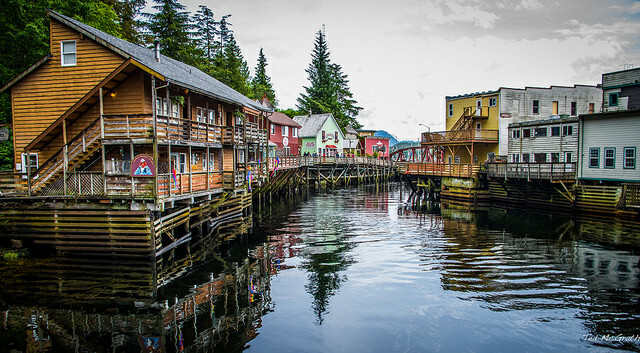 Few packages enable you to tour Alaska’s historic towns where gold rushers were hunted for priceless jewels. Along the way you will learn Native cultures and American Art. You may spot take a bike ride, or hike once the tour is completed, or else you may find your self in a whitewater kayaking adventure. 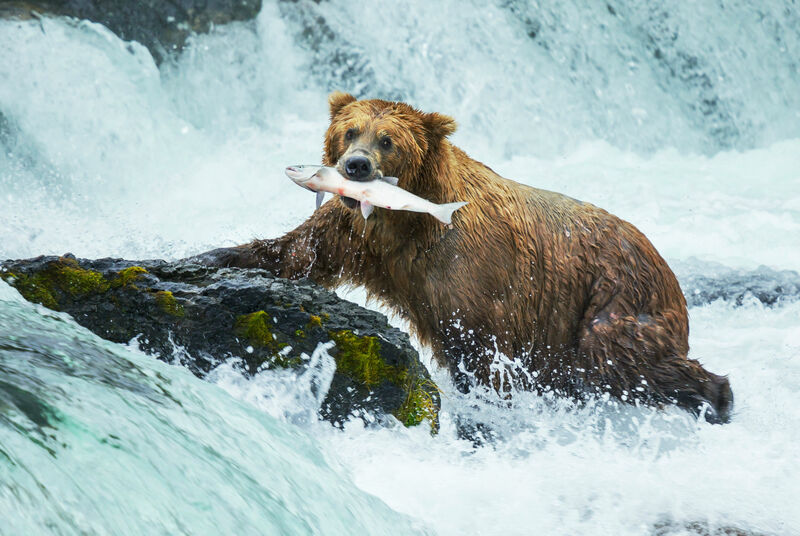 If you love danger, excitement, adventure, and areas that will ignite your interest above any other time your interests have ever been ignited, then an Alaska travel is the choice you want to consider. According to reviews, Alaska is by far the most captivating area in the world. While many areas across the world present majestic surroundings, Alaska takes you on a journey far superb than any other adventure you will ever encounter. Various Alaska packages are available online. You can book tours to Inside Passages, Natural areas, Call of the Wild, and more. You can book a 1st class majestic tour, which can include a 7 night stay at the Gulfs of Alaska. Otherwise, you can take an extensive cruise alone the shorelines. Dates, as well as prices are available online. Tour packages may also include visits to the Rockies, Glacier Park, Canadian Rockies, Yukon, Inside Passage, Discovery Land, Cruises, Grand Alaska, and so on. African travels, Gutsy Women, and more are all packages available online as well. – It depends on the package you choose, however you can book a two week stay in Alaska. The package may include wilderness visits, rafting in the world’s world-class river, glacier walks, ice climbs, hiking, biking, and more. The package may also include meals as you float along in a raft through Alaska’s heavenly waters. – Travel packages may also include Hikes through four of Alaska’s State and National Parks, as well as a kayaking trip through the Seas of Prince William Sounds. You may also enjoy a two-night adventure while resting at Alaska’s finest resort cabins in the wilderness. 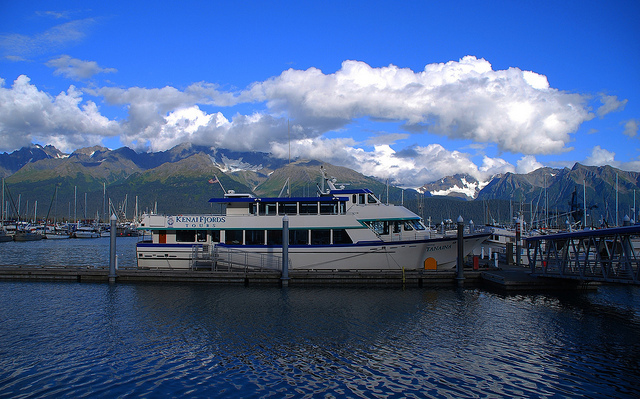 You can also use the water taxis to arrive at Kachumek Park, which is Alaska’s heavenly State Park. – Yukon packages could get you a trip to Anchorage, Alaska. Just imagine spending 12 days hanging out with Alaska Cosmos. Of course, on the first day you arrive you will rest at one of Alaska’s finest resorts, and spend leisure time acquainting yourself with the surroundings. In the end and throughout the remaining trip however, prepare to adventure and explore the beautiful area of Anchorage. If you need more information go online, since here you can view pictures that will inspire you to a journey over to the Alaska atmosphere. Sometimes called The City of Lights and Flowers, Anchorage has been referred to this name because of its thousands of buildings outlined and decorated by tiny white lights throughout winter and its magnificent displays of flowers in the summer. You can find in the downtown of Anchorage along the streets and sidewalks, four hundred twenty five baskets of bright gold triploid marigold soaked with sprawling azure lobelia. The city of Anchorage blossoms with vivacious color during the late spring and summer. Today it has many features of a modern urban area such as theaters, skiing, business and commerce, parks and forests, bike and city trails, and many other forms of entertainment which has made it a great place to visit and has made it tourist industry strong. 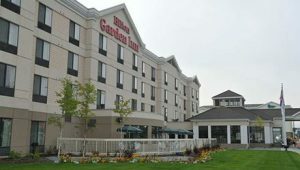 One of Anchorage accommodations were you’ll find great amenities and luxurious rooms is the Hilton Garden Inn which is located in the middle of Anchorage’s business district about only three miles from Ted Stevens International Airport and three miles from downtown area. The guestrooms of this hotel are well selected and spacious that comes with spacious work area with free high-speed internet access, two speakerphones with dataports and two lines for the complete convenience of business travelers. The hotel also features an indoor swimming pool and a fitness center. 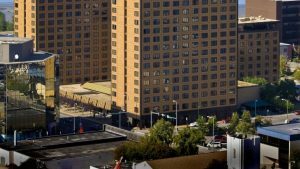 If you’re looking for a four star premium hotel Anchorage accommodations with class, then you’ll find it at Hotel Captain Cook. This hotel is Alaska’s only member of Preferred Hotels and Resorts Worldwide and is located just minutes from Ted Stevens Anchorage International Airport. This deluxe hotel offers a wide array of world-class amenities including a separate women’s and men’s full service athletic club and spa facilities, fully equipped business center, and a 24-hour full menu room service. The guest rooms are selected with style and comfort, and include fashionable amenities like duvets and down pillows, wireless web TV, and luxurious robes. Their junior suites are large with sleeping and living room areas, many of which offer two bathrooms, refrigerators and stunning views. Within the hotel are three separate restaurants and lounges, indoor swimming pool, massage therapists and sunbeds. The city’s best walking and biking trails are just steps from the hotel’s front door. 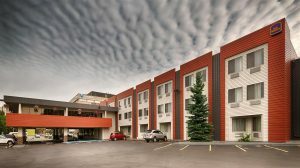 This tourist class hotel is one of Anchorage accommodations that is located just five miles from Ted Stevens Airport and is situated on the corner of the New Seward Highway and 36th Avenue. Nearby attractions include Alaska Experience Theatre, Anchorage Museum of History and Art, Anchorage City Trolley Tours, Alaska Aviation Heritage Museum, and Alaska Scenic Rail Tour. This two diamond star hotel has comfortable guest rooms offering the Chugach Range and Chugach State Park views. The Golden Lion Lounge will liven up your evenings with live music, dance lessons and sport programming. Are you from a tropical country who have been yearning to step into a region covered with ice? The Royal Caribbean Alaska cruise is definitely great news for you. Aside from the fact that there is a probability that you will be able to witness humongous humpback whales that juts out of the cold water, you will be on board power boats that will offer amenities and facilities provided for in a five- star hotel. A Royal Caribbean Alaska cruise can be on board different vessels such as Serenade of the Seas, Vision of the Seas and Radiance of the Seas. Serenade of the Seas has an itinerary of either seven nights or thirteen nights stay. The luxury liner will visit San Francisco in California, British Columbia, Seattle in Washington and San Diego in California as well as the places right in the state like Ketchikan, Icy Strait Point and Sitka. This gigantic boat has staterooms called Interior which is 165 square feet big, Oceanview which is 170 square feet big, Balcony which is 179 square feet big and Deluxe which is 293 square feet big. The cheapest rate starts at $949 while the most expensive charge is $2, 349. Vision of the Seas has an itinerary of either seven nights or nine nights stay. The luxury liner will visit Vancouver in British Columbia, Seattle in Washington and Prince Rupert in British Columbia as well as the places right in the state like Juneau, Tracy Arm Fjord and Skagway. This gigantic boat that is among the Royal Caribbean Alaska cruise has staterooms called Interior which is 135 square feet big, Oceanview which is 154 square feet big, Balcony which is 195 square feet big and Deluxe which is 241 square feet big. The cheapest rate starts at $599 while the most expensive charge is at $2, 299. Radiance of the Seas has an itinerary of either seven nights or fourteen nights stay. The luxury liner will visit San Francisco in California, British Columbia, Seattle in Washington, Astoria in Oregon and Los Angeles in California as well as the places right in the state like Juneau, Ketchikan, Icy Strait Point, Sitka and Skagway. This gigantic boat has staterooms called Interior which is 165 square feet big, Oceanview which is 170 square feet big, Balcony which is 179 square feet big and Deluxe which is 293 square feet big. The cheapest rate starts at $749 while the most expensive charge is not yet available. What are you waiting for? 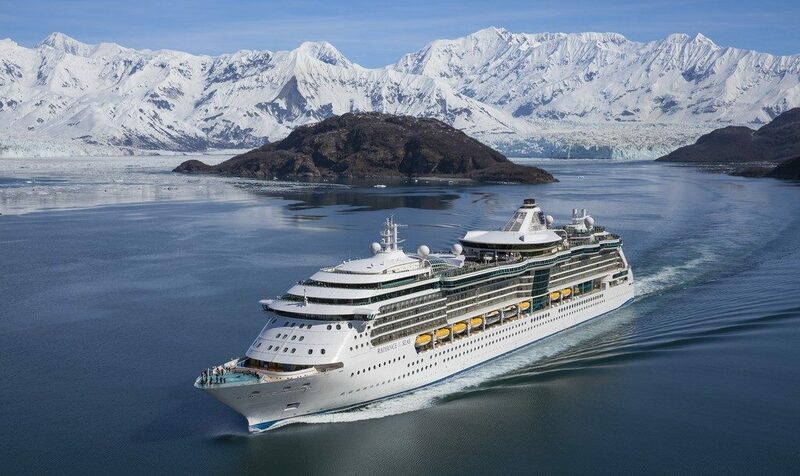 Delay no longer; reserve your Royal Caribbean Alaska cruise before all are fully- booked. Log on to their website at www.royalcaribbean.com for more information. Dreaming of Alaska adventure tour? 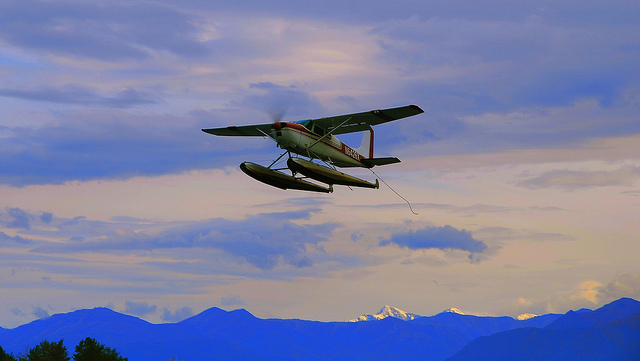 Want to explore Alaska the way the adventure addicts do? Want to see the glaciers, the famous Kenai River, or the Alpine in Alaska? Ready for a whitewater rafting, canoeing, hiking, ice climbing, dog sledding, and everything Alaska? If your answer to these questions is highly affirmative, then there’s no reason for you not to consider an Alaska adventure tour. Alaska adventure tour is available throughout the country and the world. Yes, a number of adventure travel companies are currently considering this kind of service knowing that thousands of people, from all walks of life, are wishing to explore Alaska the way the adventure trekkers do. Travel companies are also offering Alaska adventure tours knowing that the country is worth visiting and exploring, with all the spectacular beauty it offers. Now, if you have plans for taking an Alaska adventure tour and you are serious with it, I bet you would be happy to know some of the most well-recognized adventure travel companies that are currently offering quality services for your Alaska adventure tour. These companies are actually operating not only offline, but also online knowing that more and more adventure trekkers are considering the Internet as a useful tool for finding everything about Alaska and its adventure tours. A few of these travel companies are mentioned below, so please read on. Alaska Outdoors is in the first place a travel company that specializes in camping and multi-sport adventure tours travel to some of Alaska is most spectacular parks and protected areas. Their camping and multi-sport adventure tours are usually considered in small groups, but with professional guides. Aside from that, the company does not require experience from their guests to participate in any of the camping and multi-sport adventure tours that are offered on the trips. The chance for you to participate highly depends on the itinerary you’ve chosen, as well as to the activities you wish to attend. Get Up and Go! Tours is but another well-known company that caters Alaska adventure tours for those who wish to experience a new taste of Alaska. This company currently offers multi-sport hiking, family and custom Alaska adventure tours that are highly affordable. The tours are guided by professionals who do more than just showing you what Alaska is, but helping you to enjoy and be challenged for everything that Alaska has to offer. And, perhaps what’s great about this company is that they do not only offer great outdoor activities, but some sorts of wildlife viewing opportunities, and even natural history briefings. All of these are offered to enrich your Alaska adventure tour experience. A lot more companies offering adventure travel tours in Alaska are available out there for you to consider. The best way to find them is to search for them online where hundreds of travel sites are offering services for your ultimate Alaska adventure tour.